We are ready to reshape the boundaries of hardstyle. 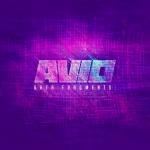 AVIO presents its new album DATA FRAGMENTS. AVIO consists out of five acts ready to show you their vision on hardstyle: Aeros, Alphaverb, Blackburn, Ecstatic and Intractable One. A combination of well-known acts and fresh names, all with the common aim to create the future. We are AVIO. We create the future.